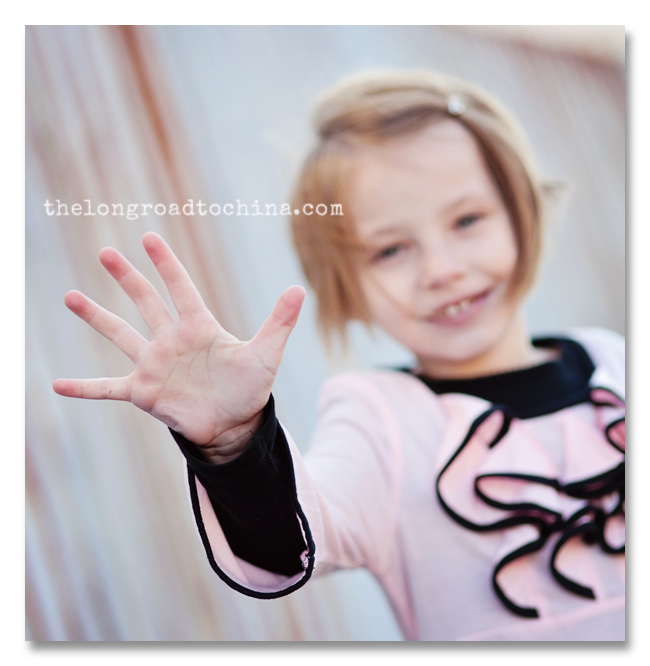 The Long Road to China: Favorite Photo Friday - "Five"
We are just days away from someone's very special day! This Sunday we will be celebrating Miss Sarah's Birthday. Can you believe that she is going to be FIVE? It seems like yesterday she was placed in our arms for the very first time. She was this teeny, tiny. precious, little thing and in what seems like the blink of an eye, my precious little baby has turned into an independent, smart, funny, and beautiful little girl. Ready or not..... Look out five, here we come! 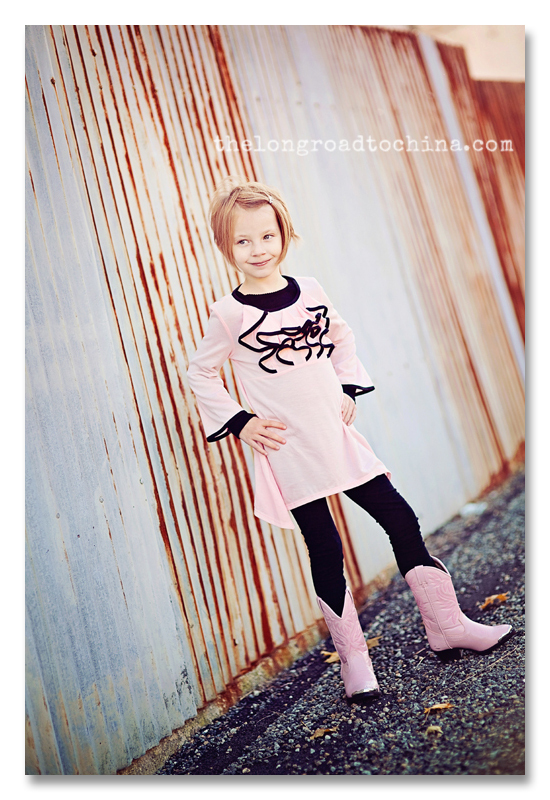 I love her outfit ---from her top to her pretty pink boots! 5 is such a special age, you're starting to learn lots of new things, such as reading, that will bring you peasure for all of your life. You have a great year ahead, with your family and with lots of friends and play-time. Lisa, your pics are beautiful, and Sarah's outfit, from the top of her head to the tips of her gorgeous boots, is lovely. Happy Birthday to one very special, beautiful little girl! Five is looking very cute! She is starting to really change in her looks. These are beautiful of you your Sarah. Sweet! What an special girl -- can't believe she's 5 already! Have a fun birthday weekend! 5? already? Where did the time go? Happy Birthday Sarah!! You are rocking those pink boots!!!!! I hope you have a wonderful birthday on Sunday. Something tells me you will love being FIVE!!! Get well Lisa, so you can enjoy the festivities!!! What an awesome outfit!!!! She rocks those boots for sure! Happy Birthday Sweet Sarah. I can really see here that she is slim :) I wanted to let you know that the waistband on her pettiskirt can be made slimmer if you need it to be. There is a button in the elastic and you just cut a slit in elastic wide enough for the button to go through at the width that you need and re-button. Happy Birthday to your Sarah! I love that outfit and she is rocking those boots!!! Happy, Happy Birthday sweet Sarah. Welcome to five. It is so awesome!!! Happy Birthday to your sweet sassy girl! Happy Birthday to your beautiful 5 year old!!! Hope you have a fun celebration! 5 is one of my very favorite ages. These are all precious, you can really see her personality shining through! Have a great weekend, Lisa!!! A very Happy Birthday to her! 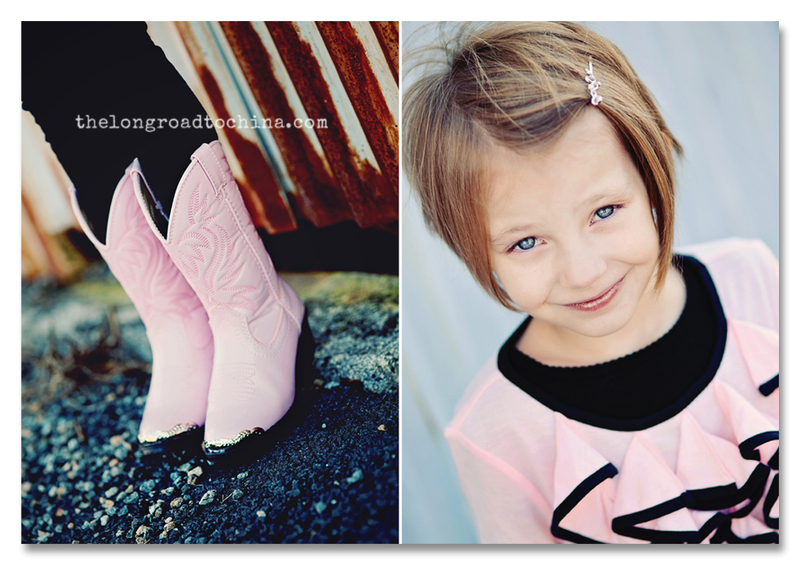 Still completely in love with those boots- guess I really need to pick up a new pair for my girls. Happy Birthday Miss Sarah!! Hope you have the best birthday. My goodness she's quite the little fashionista! LUV it! So sweet! I LOVE those boots! 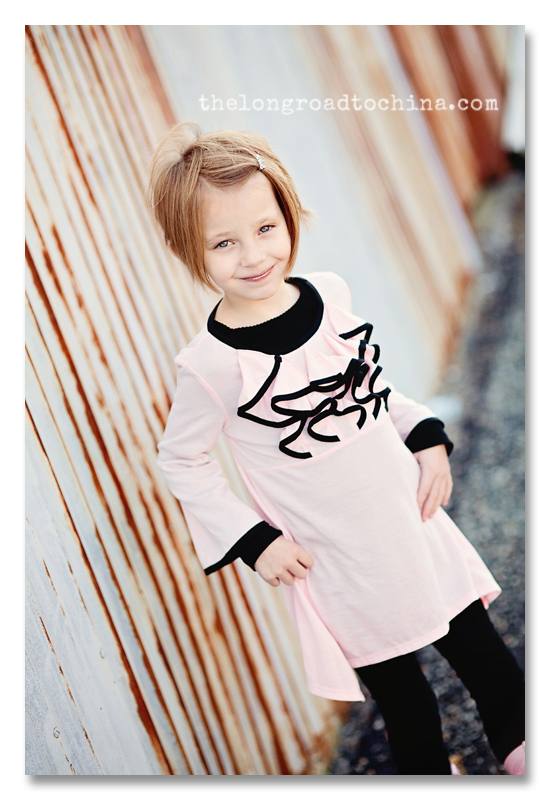 Is it POSSIBLE that this gorgeous girl is FIVE already? I can't believe how big Sarah got since this summer....she is just beautiful and I love her duds and Aunt Marla boots! Miss you, the kids and being 'round bloggerville! She looks so adorable (& grown up!) in these photos! Love the boots! Happy 5th Birthday sweet Sarah!! May you have an extra special day celebrating YOU! She is totally rocking the pink boots!!! Precious!!! Enjoy--5 is such great fun!!! Happy Birthday Sarah! Hope five is fantastic, and pray that everyone will stay happy throughout the holiday season. These are absolutely, positively BEAUTIFUL, Lisa!! No way! Five already?! Have a fun birthday georgeous girlie! Happy Birthday Miss Sarah!!! Can only imagine your day as perfect as perfect can be! Love these photos Lisa. Oh that top is just perfect with her boots!! Love these cute shots of your big birthday girl. 5 years passes in a flash, huh? Happy early birthday, Princess Sarah! Time flies when you are having soooo much fun! Don't blink! Happy Birthday, Sarah! I can't wait to see pictures of your party! Your gift should be there soon!